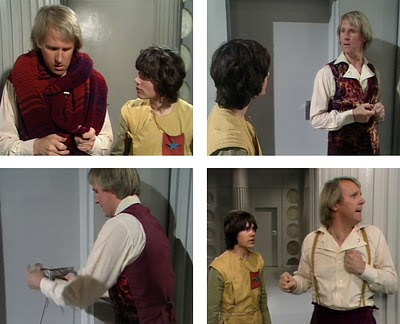 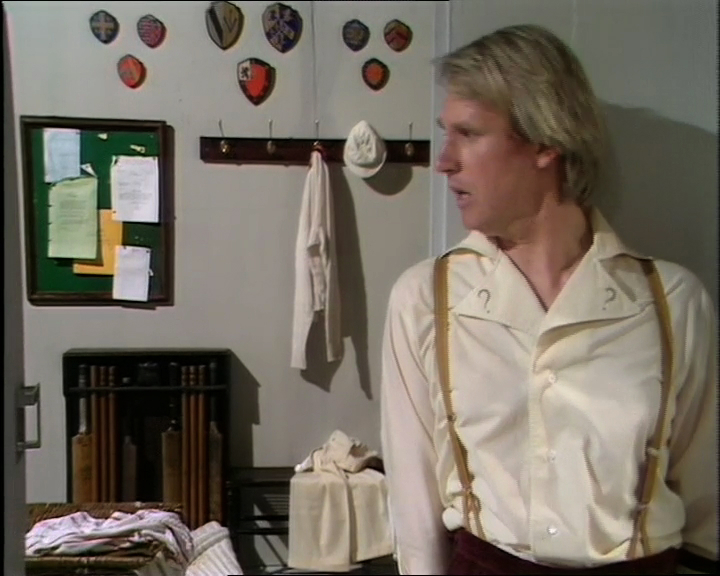 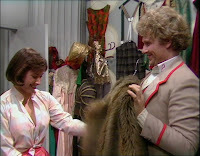 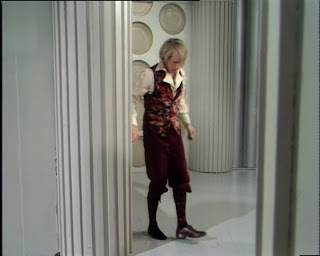 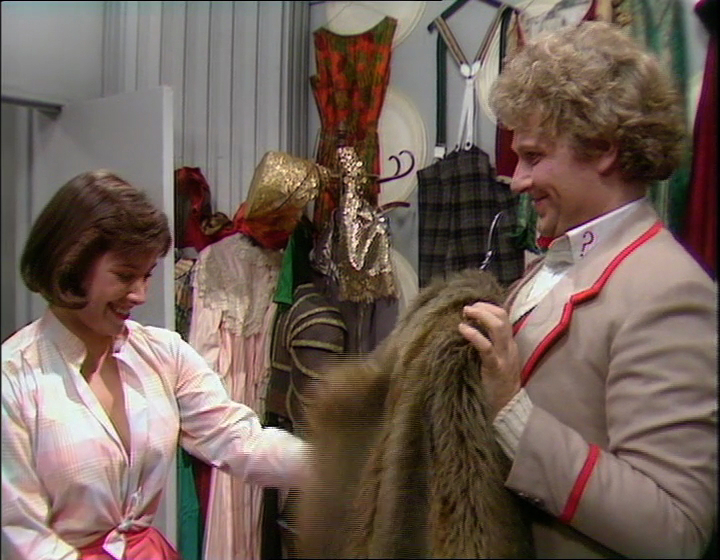 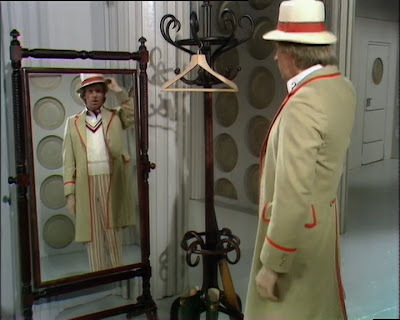 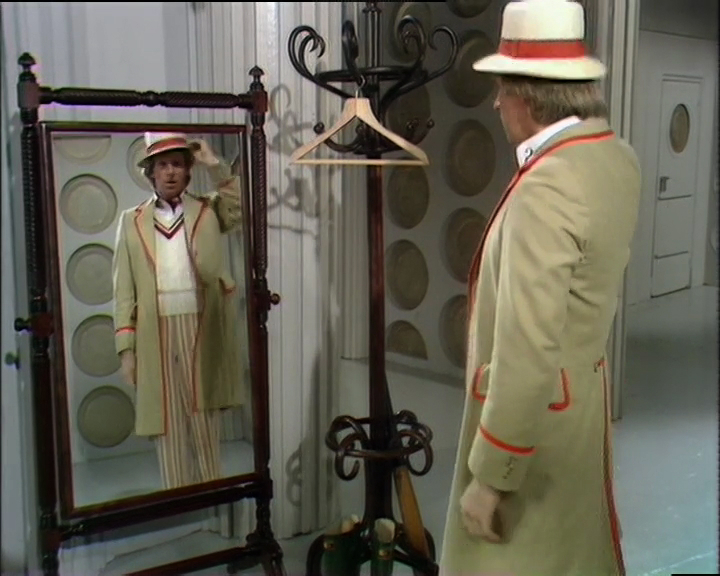 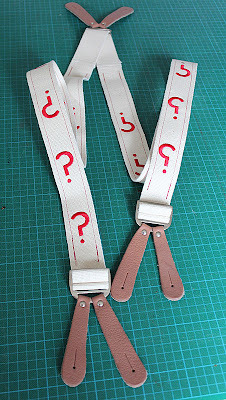 Before coving the nuts and bolts of the Fifth Doctor costume transition, I have to address the issue of the chronic continuity error covering the early part of Castrovalva. 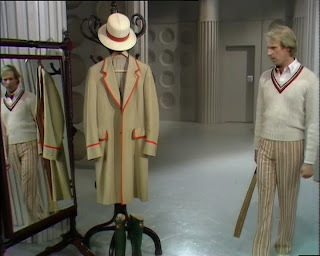 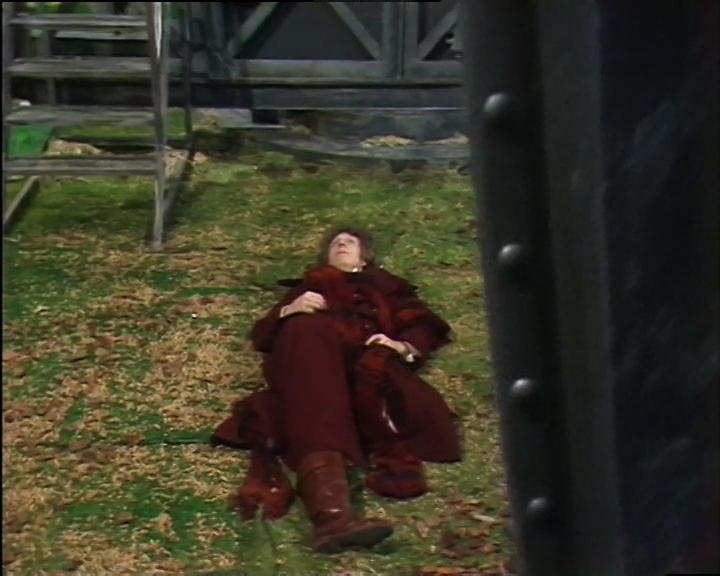 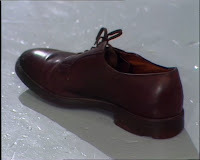 In the closing scene of Logopolis (and the recap in Castrovalva) the out-going Doctor’s costume is established, with his long coat, scarf and calf-height BOOTS (see left). Okay – got that off my chest – his slow discarding of the costume did give us a last minute look at some of the lesser seen parts of it, including the waistcoat and shirt (see below, top right & bottom left), before seeing braces (see below, bottom right), which I do not think we ever saw Tom wearing. 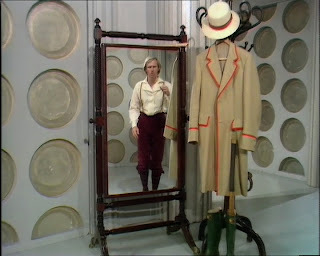 For me the reveal of new costume was a bit stagey, with it in a hat-stand beside a full length mirror (see left). 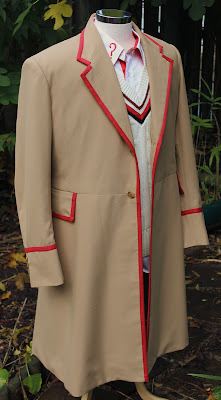 The rest of the costume (shirt, trousers, jumper and shows) is then found in a cricket memorabilia room! 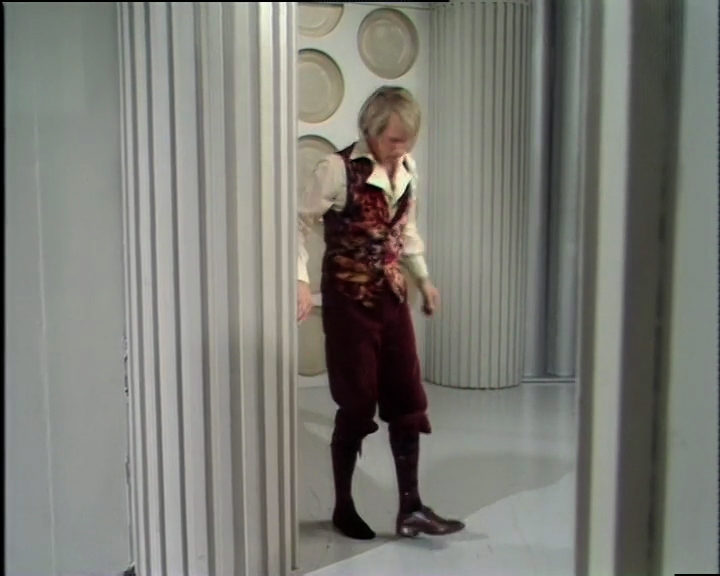 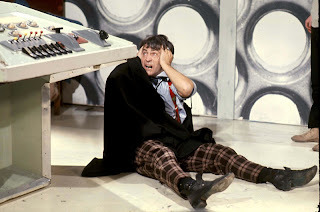 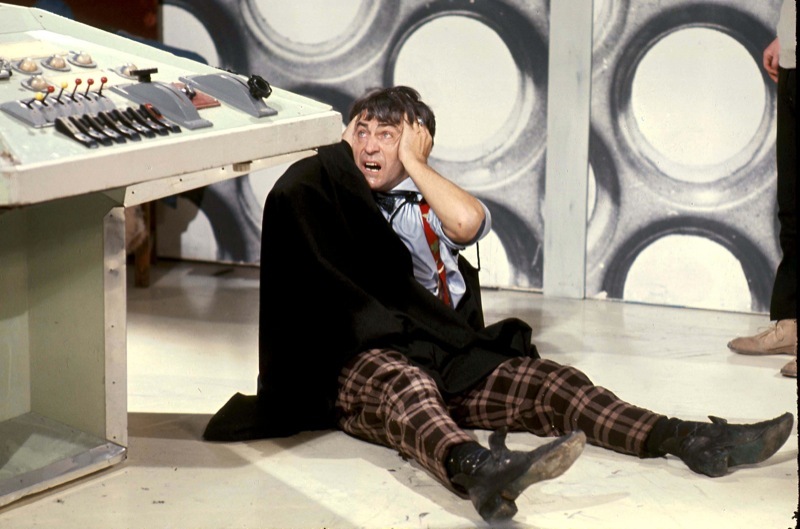 (see right) – there really is a room in the TARDIS for EVERYTHING! 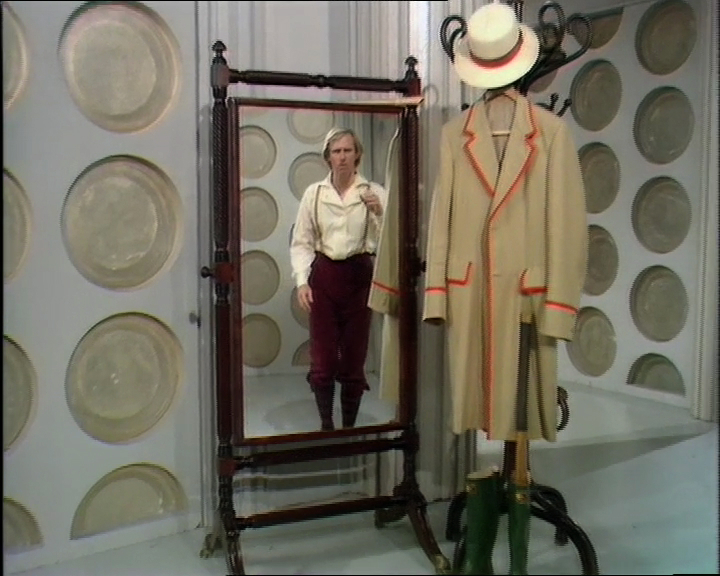 Finally his costume is complete, and after putting on the frock coat the new Doctor is with us! 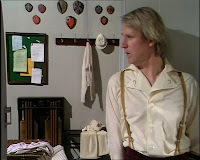 Nice write-up. 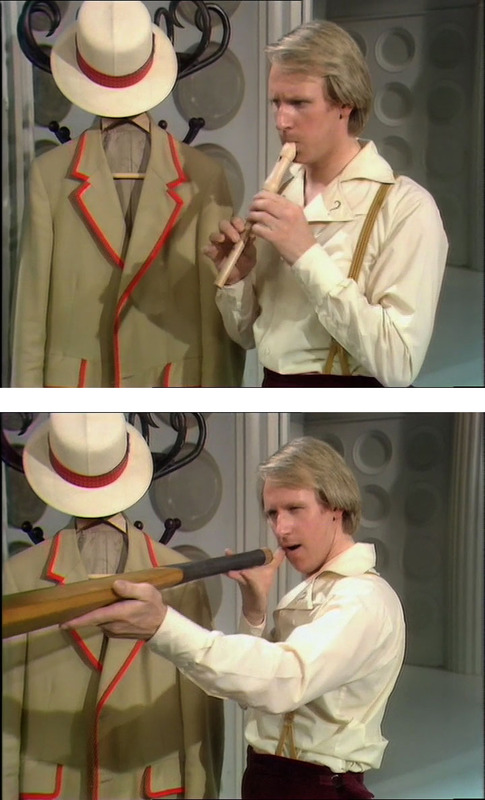 Definitely my favorite of the Doctor's costume transitions. 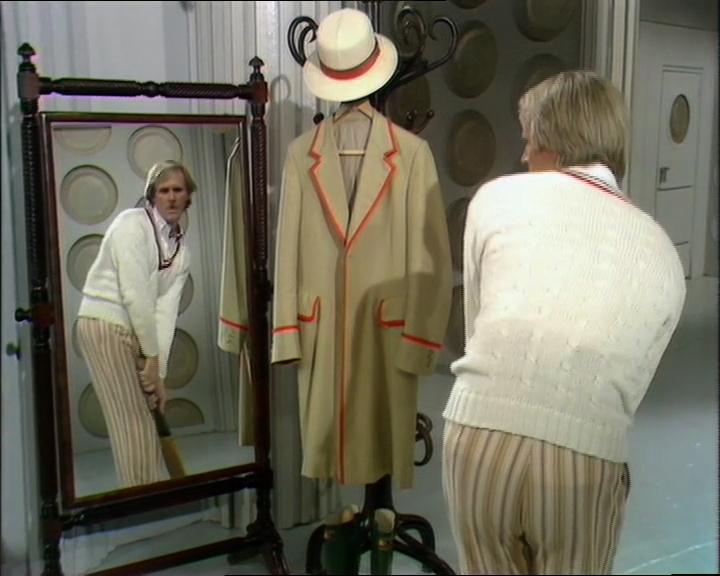 This transition definitely made the most sense in terms of regeneration with the gradual shedding of the old skin and personality then donning the new, perhaps one of the other Doctors or companions had gone through a cricketing phase and tried to cobble together a suitable outfit only to forget about it all or maybe the TARDIS was repaying the Doctor for the events of inside the spaceship by helping him to see sanity again.